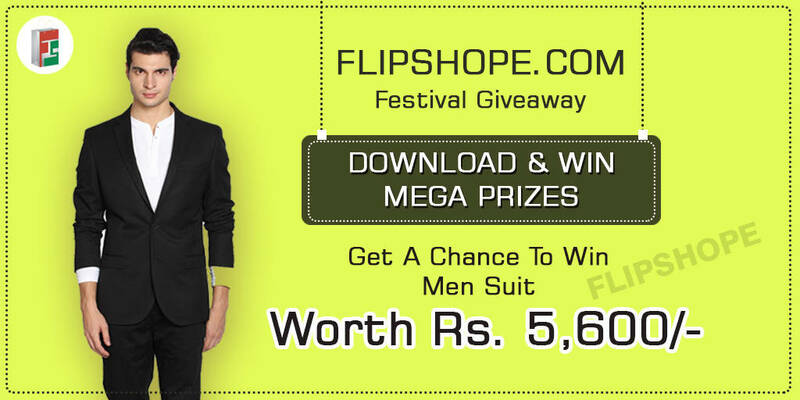 Hi Guys, Flipshope presents you their latest #Flipshope_Festival_Contest. This time we are giving you best goodies and mobiles which you can’t imagine because we know what suits you better. Now we are all set to launch our new contest here. 30 Jabong voucher winners worth up to 500 each. Winners will be announced once or twice in a day. So stay tuned to our fb page for results. These results will be posted everyday evening 7pm. Black Solid Blazer worth 5600INR. The mega winner will be announced on dussehra day. Like Flipshope Page on Facebook. Like This Post and share it. Comment your suit size and tag at least 5 friends or more in your comment. Want to know about Flipshope chrome extension..? Here you go Flipshope: An extension that provide coupons, discounted e-Gift vouchers, deals, price comparison and price graph which will help you to buy perfect product at perfect time and at lowest price and help to save your money on shopping and also provide you cash-back on every purchase. Also you can compare your product on 50+ site at once and buy at least price save your money. If you like our extension do drop a review on chrome store which will help us in promotion. How winners will be decided…?? Jabong voucher winners will be announced once or twice in a day. They will get up to 500rs voucher which can be used to redeem on Jabong . This announcement will be posted on our official facebook page on evening 7pm. Mega winner of Black Solid Suit will be announced on Dussehra. He/she will receive his gift to his home address directly. Final Big Mega winner will be revealed on Diwali day. 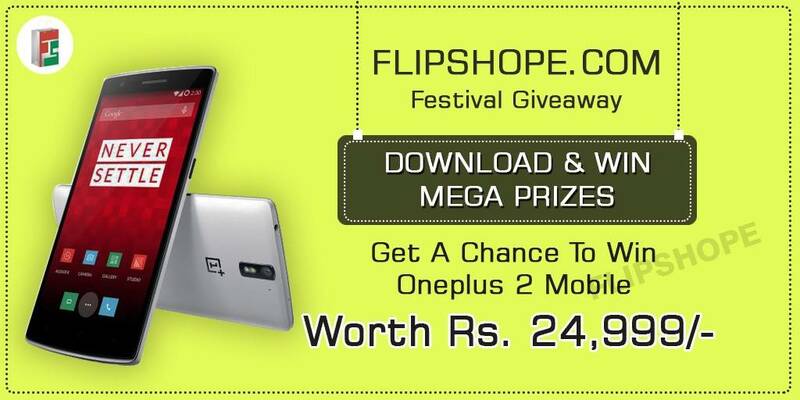 He/she will receive brand new OnePlus Two mobile which will be delivered to their home address directly. So stay tuned to our page for daily winners and mega winner announcements. PS: The person who didn’t downloaded the extension will not be eligible for contest. Note- contest will be in the air till 11th November 2015. This contest is open to Indian visitors only. Flipshope.com will ship the mobiles to select the winner via EMS/Bluedart to the address provided by winners. We (www.flipshope.com) reserve the rights to making changes to this contest and/or the rules. FLIPSHOPE IS THE BEST APP EXTENSION IN THE WORLD. Waa thanks team this is a beautiful contest I agree with you again thanks aswame contest sponsor.